I want to don't you? But how do you get inspired to make more vegetables and make them tasty? I am always thinking about these questions. Let's face it we tend to focus on "the main course" the protein dish and the vegetables end up being roasted with some olive oil or boiled and dabbed with butter. So, when Andrea The Kitchen Lioness asked our French Fridays with Dorie cooking group to join her in cooking through Hugh Fearnley-Whittingstall's book: River Cottage VEG I jumped at the opportunity to learn some interesting vegetable recipes. This is not a vegetarian cookbook though vegetarians will enjoy it, it is a book about cooking vegetables...making them interesting... putting them together with unique seasonings and ingredients... so come join the fun and eat MORE vegetables with us. Every month Andrea will post a list of recipes according to the season, and you select which ones you want to cook that simple. 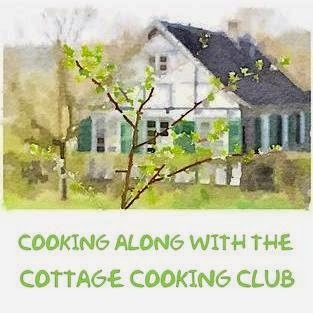 Click on the image below to learn more about the cooking group. PS: Make sure you get the US edition of the book if you want US measurements. 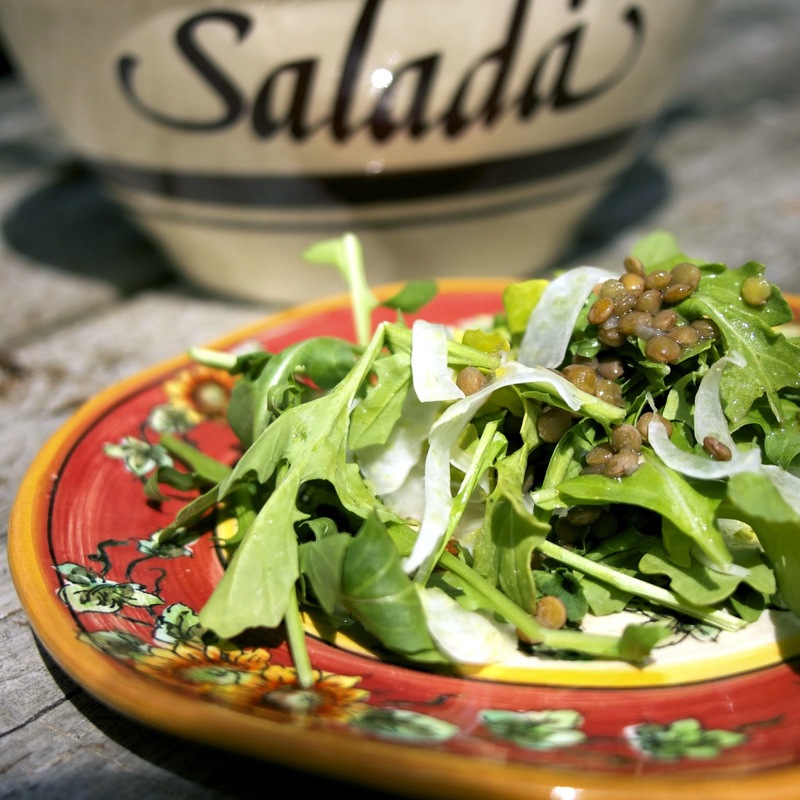 For my first recipe I chose this simple arugula fennel green lentil salad. I couldn't find green lentils, but I did find some nice small brown lentils which tasted delicious. I loved the idea of thinly slicing the fennel, so the flavor and texture didn't overwhelm the rest of the ingredients. 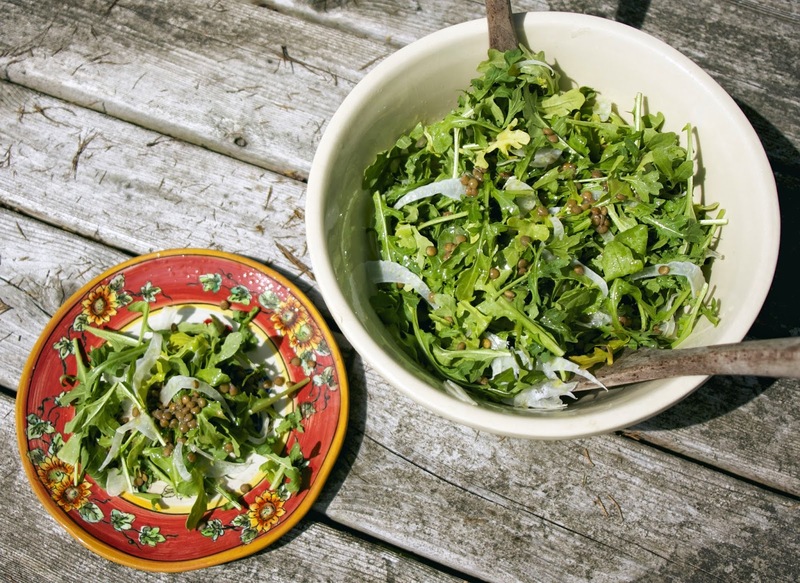 The dressing is a simple lemon Dijon vinaigrette that brought the contrasting flavors of arugula and fennel together nicely. I served it over a plate of quinoa for dinner and my son said, "Wow, this looks like a restaurant salad." Everyone enjoyed it..especially the lentils. As a member of this cooking group I have agreed not to print the recipes from this book unless they are published. We encourage you to get a copy of this cookbook. I also like your presentation! Thanks Winnie... yes, this salad is a complete meal especially served with a grain. You might like this cookbook. What a great combination for a salad, it looks mouthwatering. 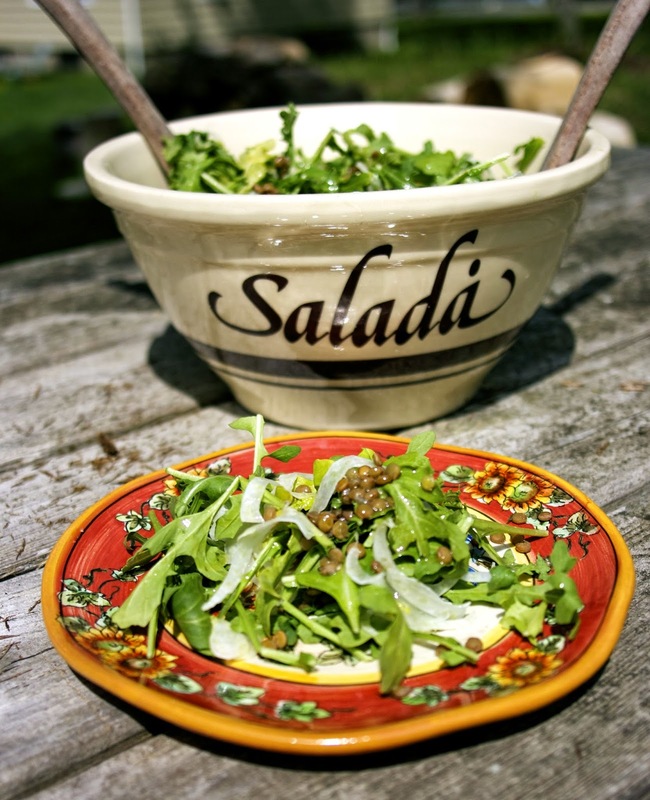 Arugula, Fennel and Green Lentil salad, can't wait to try it. This is such a pretty salad, love arugula and lentils, but have never had them together, sounds delicious! This was one of my favourites from the selections I chose for this month. Nice balance of flavours and textures and it's one that can be as simple or elegant as needed. Great photos! I didn't think about making this with different greens as the season changes. Great idea. The salad looks terrific. I love lentils and arugula... so it sounds great. This is one I didn't get to, but I'm so glad that someone picked it. Isn't this fun?? I like the idea of lentils in a salad...makes it a meal. Have never thought to add them to a salad. Lemon Dijon dressing sounds terrific! Thank you for sharing, Diane. This will make a nice lunch. Nice presentation. I may have to try this one. It did not look all that appetizing in the book, but those that made it, like it. And arugula is a favorite of mine. I made it because I know my family likes lentils... it is really tasty as long as you like bitter greens and fennel. Thanks so much for sharing your delicious Arugula Fennel Green Lentil Salad with Full Plate Thursday this week. Hope you are having a great weekend and come back soon. I didn't choose to make this recipe but you've made it seem like I should. I love argula and fennel and green lentils so why not? Nice job. Lovely looking salad. I agree with your son - restaurant quality! Beautiful presentation. I love your plate. It really does look like something you'd get in a restaurant.